Line from GregorR, via Portals. Last edited by Clueless on Wed Dec 14, 2016 8:32 am, edited 1 time in total. As uncomfortable as Mike looks, I can't really blame him. Jax184 wrote: As uncomfortable as Mike looks, I can't really blame him. In addition to the recurring character, this is also what I was thinking of in terms of tape. Agh. 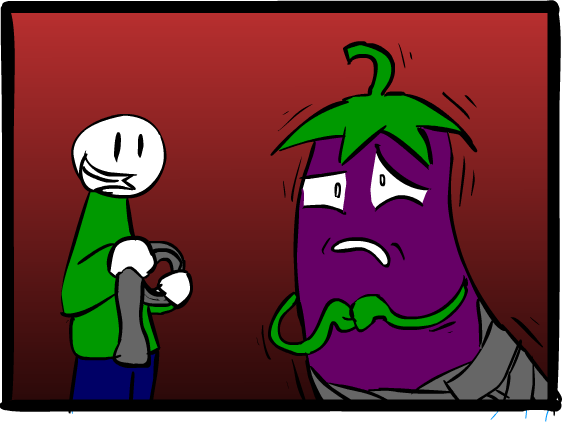 You know, when I did that line, Eggplant Mike didn't even occur to me. Maybe I'm getting old. Portals wrote: Agh. 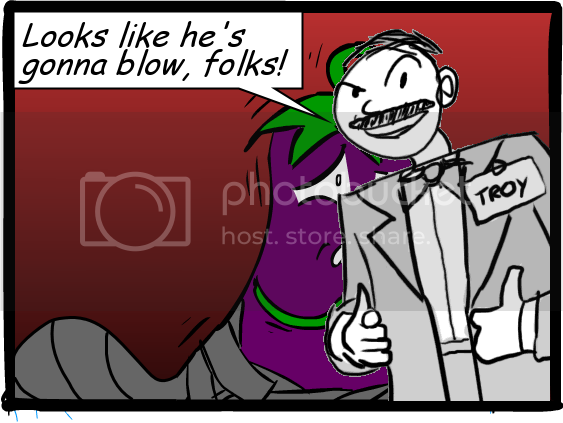 You know, when I did that line, Eggplant Mike didn't even occur to me. Maybe I'm getting old. Not while you're still around half my age. Your cut and paste is forgiven as far as I'm concerned, because I can't stop laughing at it!